This year at Stitches West we had a hard time keeping the patterns from Irish Girlie Knits in stock. Carrie Sullivan specializes in "deceptively simple, perfectly gorgeous" designs. Many of Carrie's designs are drawn from family events and family histories. For example, Knocknagree is the town in County Cork, Ireland, in which her grandfather was born. Knocknagree is also the shawl that is part of her Sullivan Family Collection and was crazy popular at Stitches. She recently released Rathmore, the counterpart to Knocknagree. It's a gorgeous infinity cowl done in For Better or Worsted that carries over the pattern from the Knocknagree edging. It's shown here in Teal and Pesto. 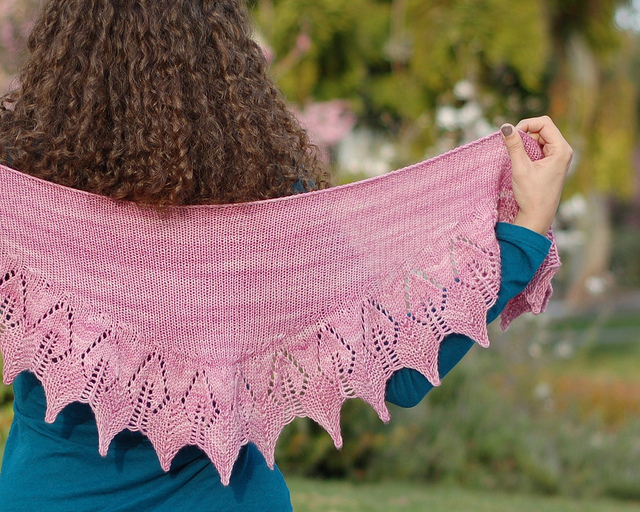 Holbrook is a lovely shawl knit from Dreamy, shown here in Ballerina. It was inspired by the flora at her favorite park. She suggests it be worn as a scarf when the weather is chillier, then as a shawl as it warms up. Another popular pattern at Stitches was the Lilianna baby/toddler cardigan. This is knit from Cricket, shown here in Mulberry. Watch for a more boyish baby/toddler sweater coming soon! Besides the beautiful designs available on Ravelry, Carrie posts "52 Weeks of Happy" every week on her blog, We Do Not Have A Knitting Problem. She finds the happiness in the big moments and the small, which is an inspiring reminder every week. 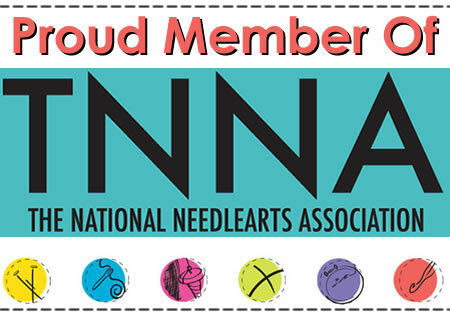 Click over to Ravelry and see her patterns and the IGK group!